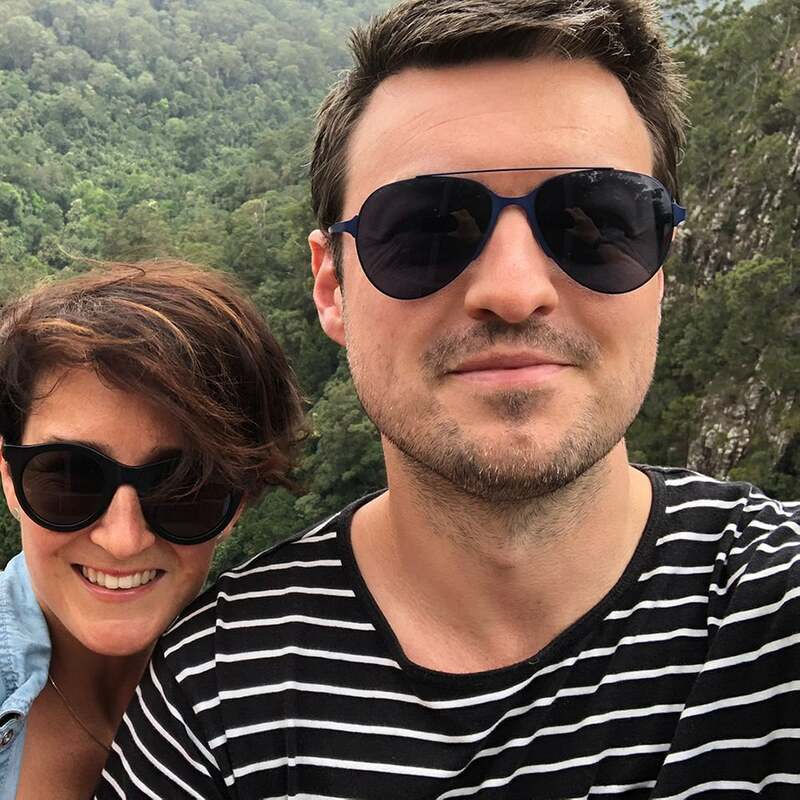 Learn how we grew from 0 to 100 customers in 5 months. If we can do it, so can you! 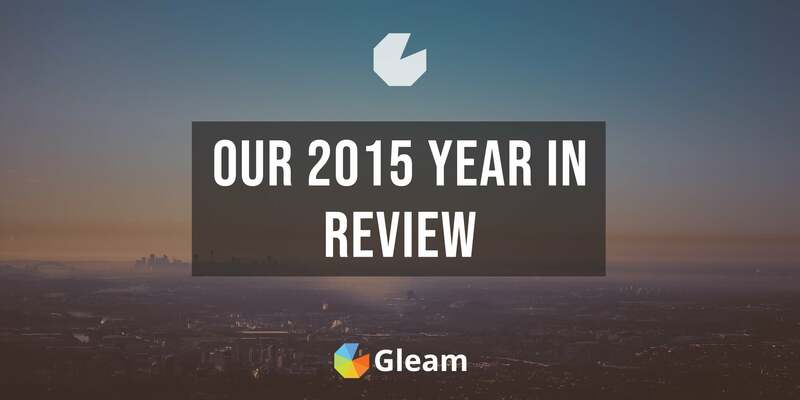 Earlier last month we crossed an important milestone in the growth of Gleam – 100 paying customers in 5 months. It might not seem like many, but for us, it’s an important validation that we’re building something people get value from (and love using). The great thing about what we’re about to show you is that we achieved this milestone without spending a cent on marketing; you could say that we growth hacked our way here, but honestly it was just months of hard work with lots of various elements all working together in various ways. A lot of the tactics that we’ve deployed should also help us scale far beyond 100 customers, this is something you’ll be able to identify when building your own products – things like agency plans, unlimited plans & yearly plans all help you reach certain goals faster (plus also give you more capital to play with). So, what did we do? How did we get here? You’re about to find out below. Enjoy. Let me preface the rest of this post by saying that growing customers from a base of 0 is bloody hard work. It’s hard because there’s no magical tweak that just scales your business instantly. You need to invest time focusing on the short-term wins whilst not losing sight of the long-term gains. Every single thing that we have tried has had some sort of overall impact to our ability to acquire more users. Positively or negatively, big or small. The more stuff you can try, the more chance you have to make an impact. The term Do Things That Don’t Scale couldn’t be closer to the truth. If you have a limited network effect then you will have to do more & more things that don’t scale, whether it’s cold calling, emailing or networking. Remember, there’s companies (like Google) that already have the network effect but sometimes still can’t make a product work – like I said before there’s lots of factors at play here. 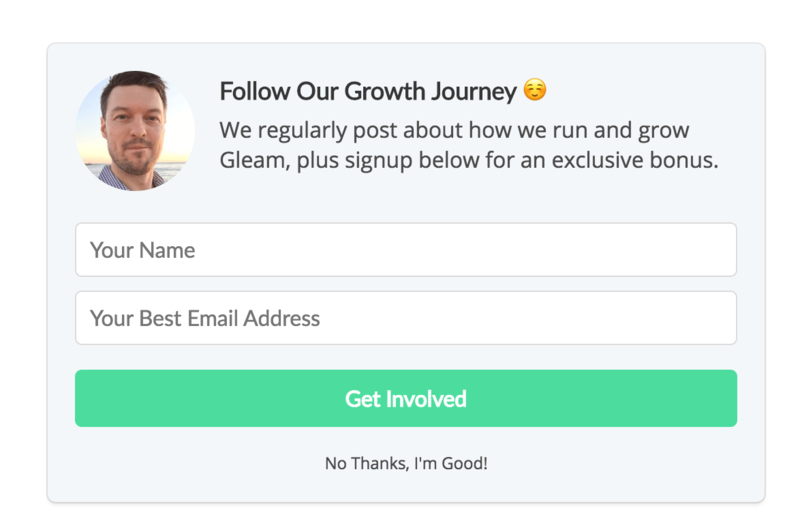 Before we even started building Gleam I emailed over 30 businesses that ran contests asking about their problems. Why did they use the platform they used? What problems or limitations did they have? What could someone do to make their life easier? Along with our own personal drivers, we used this data to draw up an initial feature list. That was it. We knew people had a legitimate need for this. So we started building. 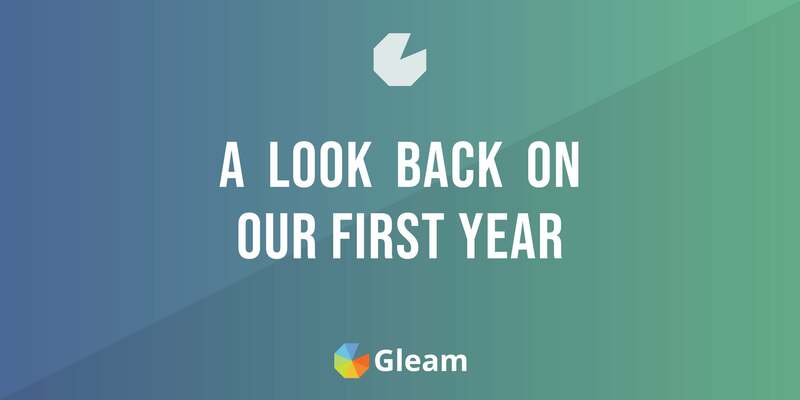 Since then we’ve found that there’s lots of companies that didn’t know they had a legitimate need for something like Gleam. When you start building it is very very easy to get caught up with feature paralysis – thinking that you need to build all the features in the world to have something worth selling. If anything, it’s the opposite. You are much better building something that does one thing exceptionally well; then building on it. Just build a great product. 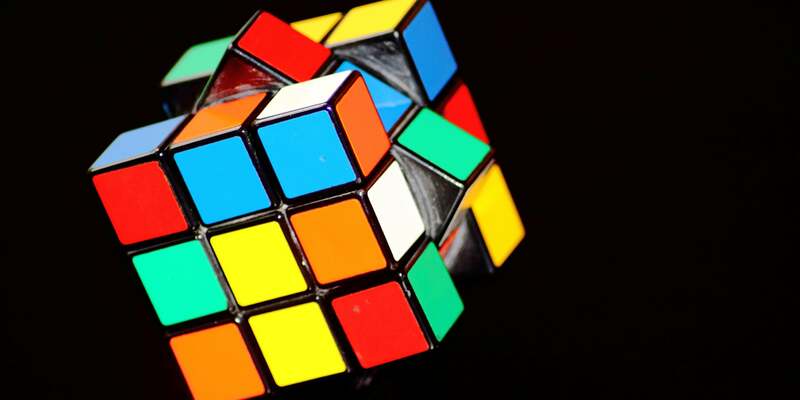 You could look at critical flaws in competitors & build something better, or you could focus on a problem that people have then make something that solves it beautifully. This instantly gave us a conversation point to leverage when we started beta testing. We had different outreach approaches based on what competitor platform a business was using. Bugs are inevitable part of building software, some user will find something that’s only triggered on a certain browser when a specific plugin is installed. The key thing is to be on top of issues. We wrote an earlier post on how we use HipChat to monitor this & fix in realtime. The widget is too wide for my blog theme: We built auto resizing down to 320px into our widget. 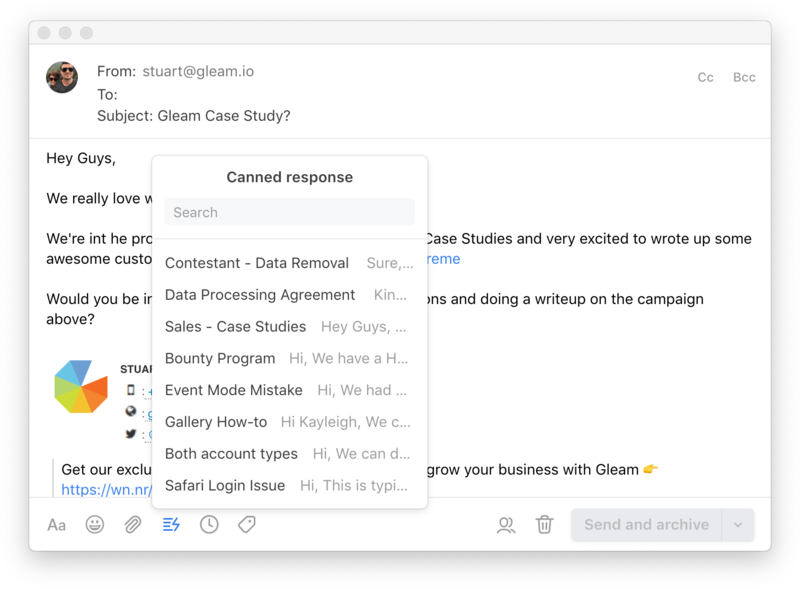 You’re sending entry emails to every user for every entry: Yep this was a bit spammy, so we rolled up the entries into 10 minute increments & sent 1 email instead. We also created the option to turn off emails if they wanted. You had to unlike then relike a FB page to active an entry: Fairly annoying for existing fans, so we made a quick login to auto verify those users. Widget was resizing strangely with lots of entry methods: We had to completely rethink how entry methods popped down. Quite a big job, but it vastly improved the user experience. Instagram rate limited us: Yep, that was fairly frustrating. However it meant we now have fallbacks if it happens again. 3rd party cookies: If you use these, you’re going to have a bad time. Quite frustrating. Can’t copy existing competitions: Bloggers that run a lot of contests like to copy existing ones from a template. We added this pretty quickly. Facebook tabs don’t work on mobile: We needed to build some smart links for users. What we’ve found is that the more things we fix or enhance the more mature our product becomes. To the point where you may have a much more complete feature set than your closest competitors. Relevant outreach emails have been the single most effective ways to get customers. I set myself the task for the first 2 months to send at least 10 outreach emails every single day. I still wish I had enough time to keep doing this. My average strike rate varied depending on the types of people I could email. The lesson learned here is that finding the right person to email is crucial to your success. In some scenarios, I needed to Tweet to get some sort of response. We’re lucky that there’s quite a few specific hashtags or words that allow us to track down who is running social sweepstakes, contests or offers. The main problem here is one that I talk about above, it’s hard to reach the right person. I’ll normally find the right person first, who is the social media manager for a company? Or who is the founder? Once I find them, I’ll look for their name to see what social accounts they have. Now I need to find the actual person's email. 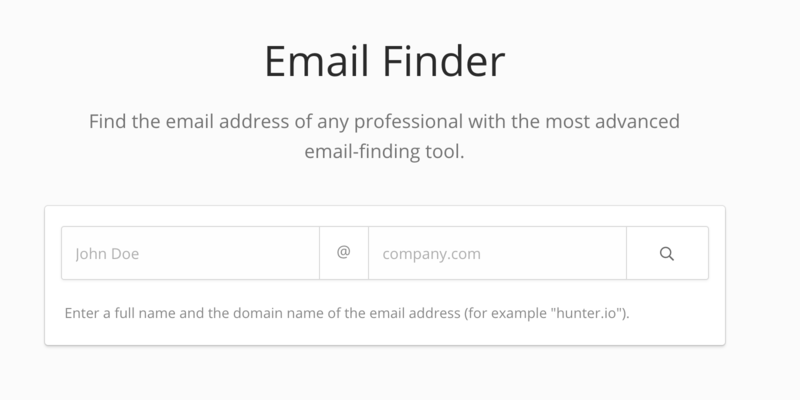 One of the best ways to do this is to use Hunter, simply start typing in the person's name. Before you fully launch you product you should already have a percentage of customers that are committed to paying you money, in our case we had approximately 10 customers who had said they’d upgrade as soon as we were ready to go. This ended up being more in the realm of ~7. That statement is something I’ve always held true. Once you have the steps to acquiring 10 customers, the next 10 should be easier, then the next 100 after that. If you can reach this point before even launching to the public then it instantly makes everything easier. 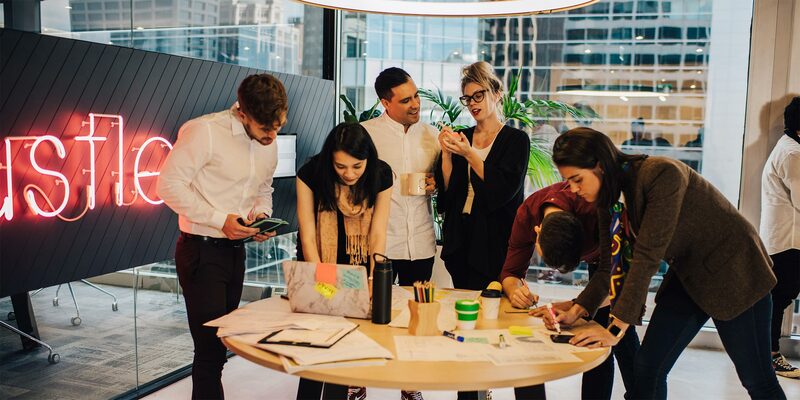 You know what types of customers are willing to buy your product, how much they’ll pay for it; you might even have some early advocates or case studies that can really help you propel your launch. In the beginning, any interaction with a business you can get you should take it. It could turn into a case study, testimonial or better yet could help you improve your product somehow. These exchanges led us to case studies, exposure on Reddit’s Startup & Entrepreneur subreddits. 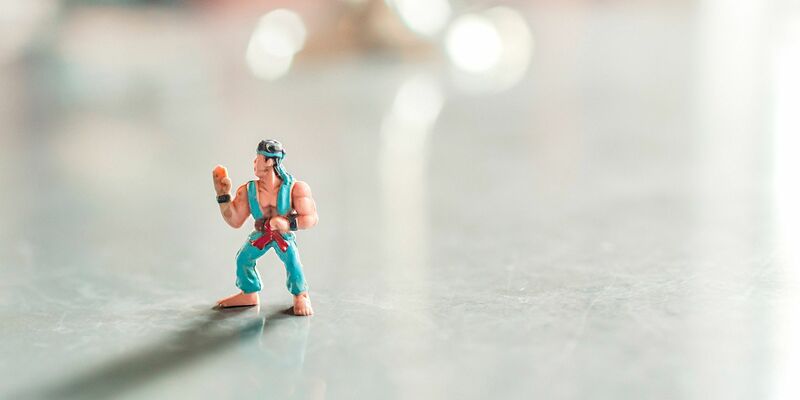 If you’re a bootstrapped business the sooner you can start charging customers the quicker you can start generating revenue, it’s a no brainer. You should know early on whether or not people that you talk to are willing to part money to use what you’ve built. The disadvantage with this technique is that investors may want you to focus on growth & acquisition over revenue – which might delay the point at which you start charging for your product. We really struggled deciding how to price our app. We have a number of segments that typically drive value for their advertisers (therefore they don’t get much value themselves), but on the flipside we have a huge market that drives massive value from their promotions. 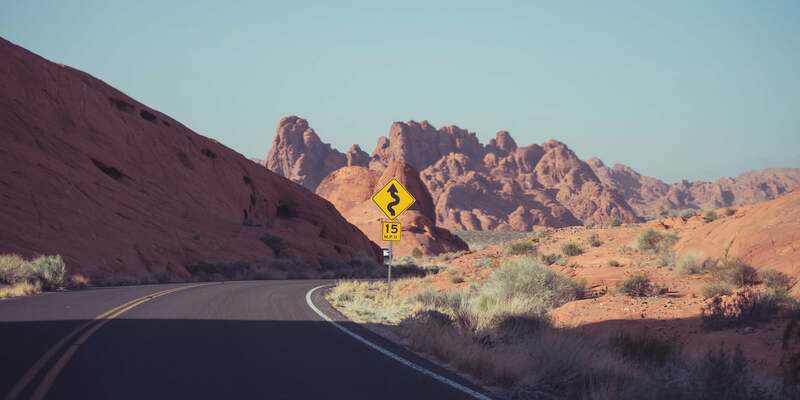 A typical brand could drive anywhere up to 50k actions with 1 Gleam campaign. If you think about what a typical agency might charge per action: $1.40, the value is a no-brainer. 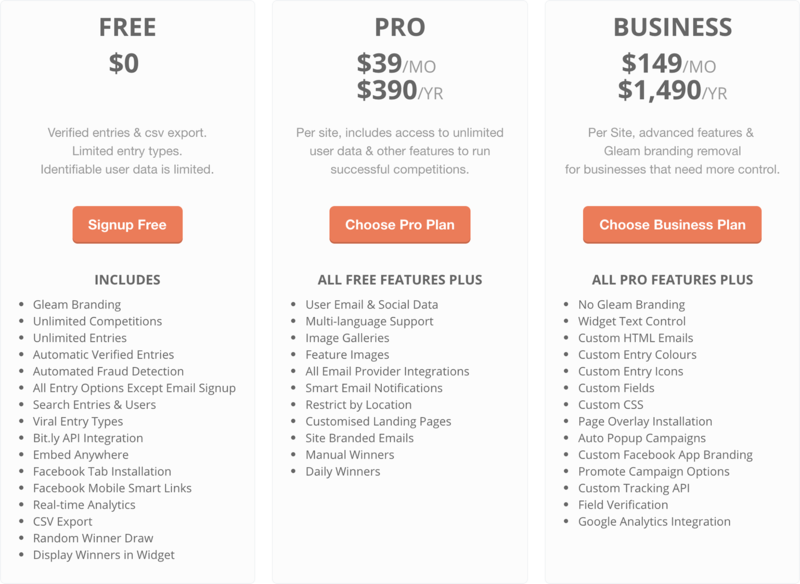 But on the flipside, we didn’t have the time or resources to chase bigger deals, so we opted for a simple pricing structure that gave features based on the value we knew a certain type of customer would get. We don’t confess to have this right yet. We still get plenty of people saying your minimum plan is too expensive, we never get people on the business plan tell us that it’s too expensive. If anything, we plan to release an “Enterprise” plan. Compare us to any other social tool on the market, most lock you in for 12 months at time, they offer no flexibility to upgrade or downgrade whenever you want. We want to make it easy to do business with us. I feel strongly that customer optimization is one of the biggest drivers of growth we have. Over 50% of users that contact us personally for support end up purchasing a paid plan. So it’s vitally important that we respond quickly, well & make them feel like we’re on top of our game. Every interaction with a customer is the opportunity to impress them. Do it. 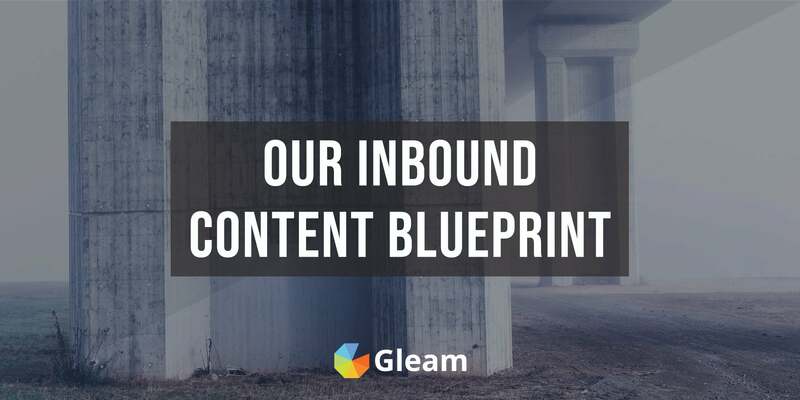 If you have a business you need to make time for inbound & content marketing. To me, content marketing is writing great content on your site that aligns with the types of terms that your customers might use to find you. For us, we need to find people that want to grow their business, run social contests or engage their Facebook fans more. 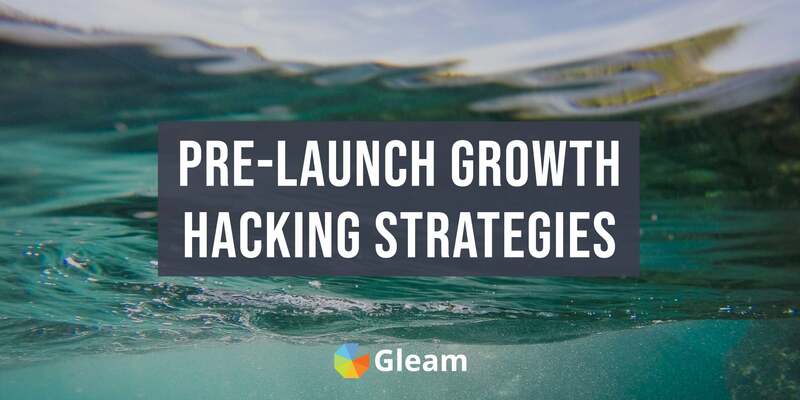 Over time we learned more about the types of people that were using our platform, so we started focusing more on growth hacking tips & case studies. 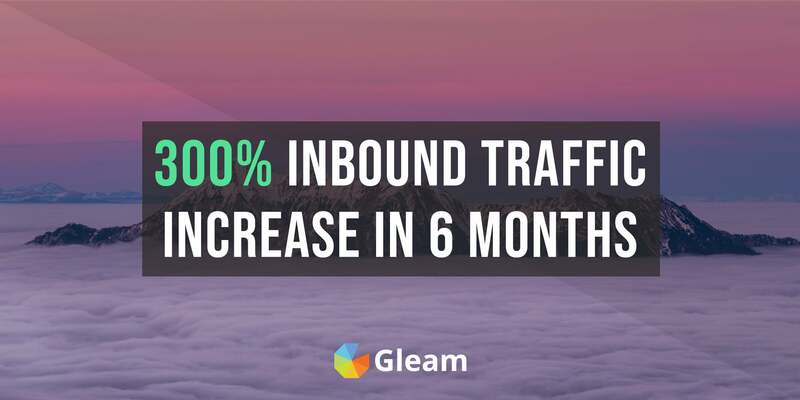 Over 30% of our signups come from some sort of inbound marketing activity. For example, this blog post on ways to grow your Instagram followers. Signups / Upgrades / Downgrades – Why do they happen? Validation Errors – When or how are users getting fed up? Social mentions – Who is talking about you? Is it good or bad? Backlinks - Look at who's linking to you, can you build a relationship with them? It frees up your time & helps you be consistent. One of the most valuable things we’ve done to date is write a case study, I have no idea why we’ve only done one. But it has easily sent us over 25% of our total customers. Users love to see real world implementations of your product, it helps to overcome objectives & shortcomings they may have in their head. I plan to have use-case specific case studies for all our different customer types at some point. Strongly consider synergies that your product has with other products. We’ve successfully integrated with people like MailChimp, Campaign Monitor & Shopify. Not only has this driven sales, but it opens us instantly up to a new market of users. Below is a graph of an integration with FullScreen that we launched last week. This integration doubled our user base in a matter of days & gave us exposure into the YouTube & game streaming markets (i.e. Twitch). The best businesses are never afraid to try something different, growing your startup is no different. You’ll have plenty of conversations with co-founders, designers or developers on what everything thinks is the best way to do something. Put this button here, make it that colours, it should have this number of steps & we should definitely be using a rotating carousel on the homepage. If you want to make changes you should be testing what is & isn’t working. If something drops your metrics, then revert it, if something positively impacts your metrics then keep it. Do not let your ego get in the way be assuming an awesome idea will always work. For example, we were a lot more bullish about the number of subscribers we would get with different opt-in forms (and exit intent forms) on this blog. But now that we’ve tested a few variations we have a much better understanding of what works for our audience. 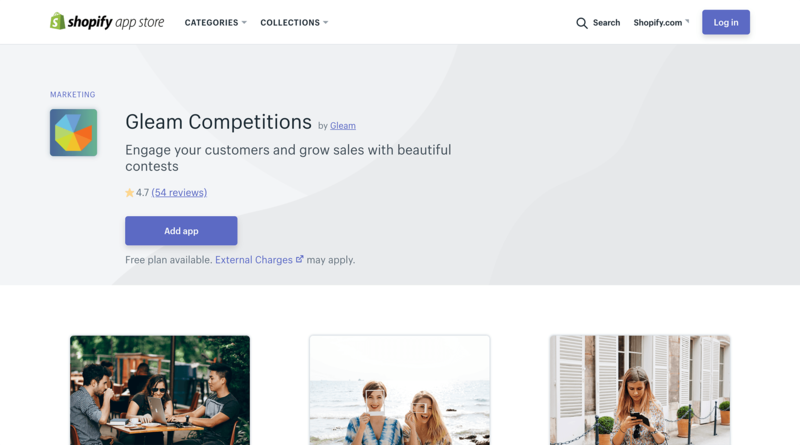 Another 30% of our new signups (that we can track) come either directly from branding within our widgets, or from hearing or seeing one of our contests on a competitors website. Finding this viral loop is extremely important to help you build scale without having to invest as much in marketing.